Attach yourself to the heels of the infamous "Big 5"
The excitement that an African safari brings doesn't have a match. 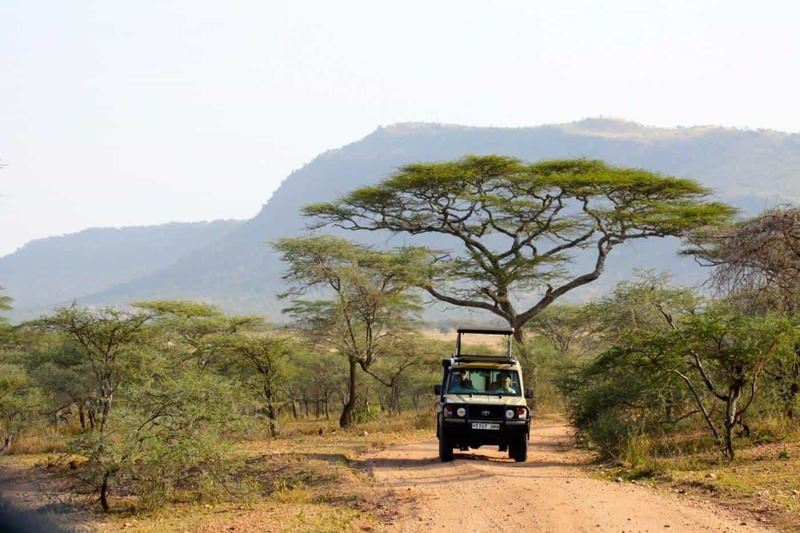 Whether you are looking for fun and nature or a relaxed getaway from the daily grind, think of a Tanzania Safari Tours! 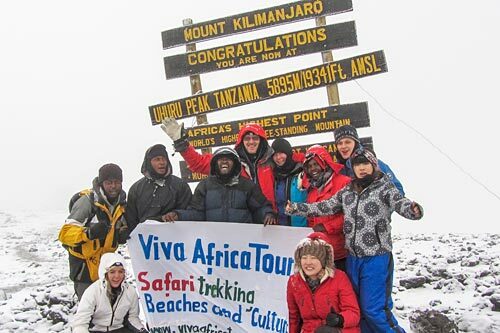 At Viva Africa Tours, we have a deep personal connection with the land and can offer you a great value on your Kilimanjaro climb and safari package. Discover the breathtaking beauty of Tanzania's wild and untamed places and take back memories that will never fade. As one of the highly reputable and licensed Mount Kilimanjaro tour operators, we will make your itinerary safe and enjoyable, so you can experience the real Africa and leave with happy memories. Give our qualified tour planners an opportunity to add more fun to your exhilarating journey into the African wilderness and add wings to your dream to climb the highest freestanding mountain on the planet! Whether you are looking for travel inspiration in Africa's natural bounty or are deeply interested in Kilimanjaro Safari Tours and taking Tanzania wildlife safaris, the Viva Africa Tours team has a plethora of interesting ideas for adventure in one of Africa's best kept secrets. Allow our Mount Kilimanjaro tour operators to plan your completely bespoke custom itinerary within your travel budget so you can explore the rich cultural traditions of the most visually colorful tribes of Africa - the Maasai. Come; bewitch yourself with our adventure-filled Kilimanjaro Tours and safari package and lose yourself in the enthralling beauty of Tanzania! Conquering heights has been always been a human forte. So challenge yourself to climb the most hikeable summits on the planet by planning an African safari and undertaking Kilimanjaro climbing expeditions. With our tailor-made Kilimanjaro climbing packages, you have an opportunity to conquer Africa’s highest summit and make lifetime memories. There is much more to Kilimanjaro than hiking. Take part in Kilimanjaro climbing expeditions while taking the most scenic route and find yourself lost in the panoramic beauty of the surroundings while scaling the majestic peak. Take a virtual climatic tour of the world while scaling the peak from the tropical bottom to the Arctic top and create your dream holiday through our custom Mt. Kilimanjaro climb packages. Explore enlivening views of ice fields on the crater rim while you cross the lunar desert. Give yourself a lifetime opportunity to witness a magical sunrise and spot Colobus monkeys on the lower slopes. Let our Kilimanjaro climbing guides be your escorts at every twist and turn while you scale the snowcapped peaks and explore the delights of 'Kili.' Enjoy the breathtaking camping trek during your enthralling Mt. 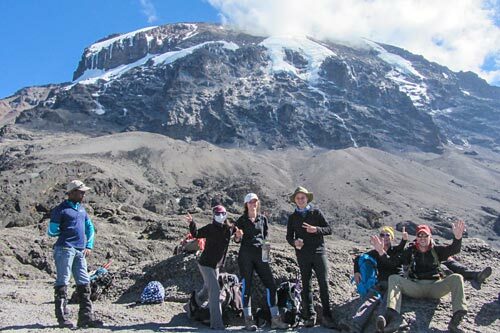 Kilimanjaro climbing holidays and come back for more! Climbing the Kilimanjaro summit is an unforgettable experience. If you seek pure adventure in a blessed naturescape, plan your Mt. Kilimanjaro climbing expeditions today and climb one of the most scenic mountains on earth to enchant your senses. Amaze yourself with the diversity of the African wilderness while hiking the Kilimanjaro to reach the Uhuru Peak and have a marvelous 360 degree view of the land from the top of Africa. Starting from the wildlife on the forest-clad lower slopes to the spectacular views of ice fields of the Kibo up high and the dotting Barranco Wall, the changing climatic and flora and fauna are a big attraction all through the journey to the top while our Kilimanjaro climb operators take you through the soaring rainforests through some of the least busiest of routes. Enjoy camping in the wilderness in some of the most scenic locations on earth while undertaking Mt Kilimanjaro climbing tours and embark on a safari to the national park. Allow our Kilimanjaro climb operators to make your safari safe and adventurous and offer you a guiding hand at every twist and turn during your trekking tour. Take Mount Kilimanjaro climbing tours and get all set to witness one of the greatest wildlife spectacles on earth. As a premier Kilimanjaro climbing company, we boast a team of trained porters and guides, who belong to the region and are familiar with its terrain. Our highly skilled mountain guides are trained to make your tailor-made Kilimanjaro climbing trips safe and full of fun, without rushing our ascent. You have a multi-day program to experience and explore the majestic peak and undertake an enthralling journey to Africa's wilderness. Taking an African safari with one of the leading Kilimanjaro climbing companies can be all the difference between a fun-filled holiday and a hushed up hike. We set the standards in guided mountaineering and will take you through the routes and passages that bring you up close to an adventurous retreat. If you seek a truly challenging and fulfilling adventure, challenge yourself to hike Africa's highest summit as part of your guided Kilimanjaro climbing trips and you will never look back! Enjoy halting at our well-furnished accommodation facilities after a tough climb and rejuvenate your senses with a stay in nature's paradise that brings you up close with nature. Climbing this inactive volcano doesn't require you to burn a hole in your pocket. Conquer Africa's "sleeping giant" with our rugged and expert elite climbers and enjoy an exhilarating hiking journey like never before, that too at a price that fits your budget. We pride ourselves on offering tailor-made Mt. Kilimanjaro climb packages for visitors. No, we don't offer a cheap Kilimanjaro climb that compromises with safety standards. We offer the best yet affordable Kilimanjaro climb prices for the adventurous traveler wishing to save money, adding great value to your African safari. So whether you seek adventure on your Tanzania safari or some goose-bumping hiking experience, you can have it all at inexpensive Mount Kilimanjaro climb prices, with packages customized to fit in your requirements and budget. We also organize group climbs during months with the best weather, so you don't need much time for acclimatization and can make the most of the group package. For little more comfort and superior service delivery, you may opt for luxury Mt. 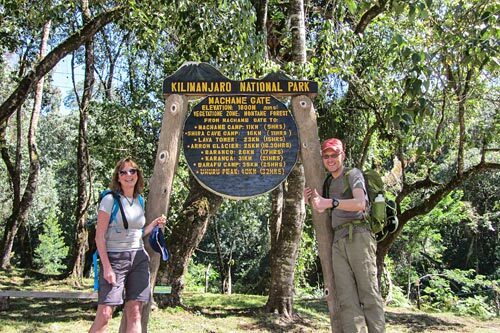 Kilimanjaro climb packages and pay little extra for the added services. 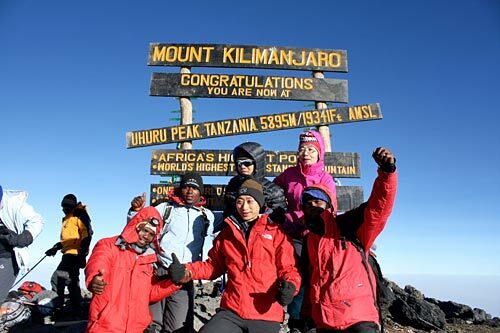 If you plan to trek Africa's highest summit for an affordable adventure-filled experience, come in touch with us. 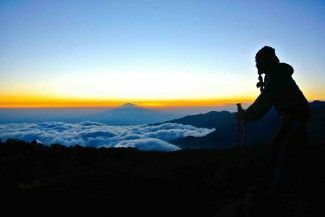 We can arrange climbs 365 days a year and have the best Kilimanjaro climb deals on offer, helping keep your costs down. 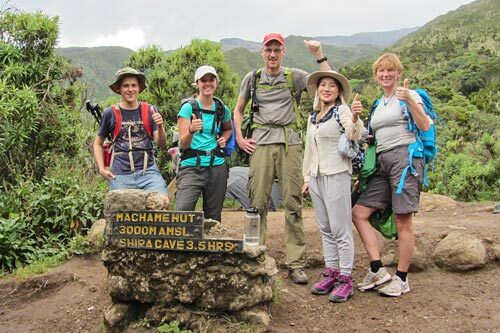 As a professional Kilimanjaro tour organizer, we can arrange for you an exceptionally adventurous yet safe tour with our expert guides, so you can enjoy the scenic treks while benefitting from our competitive prices. 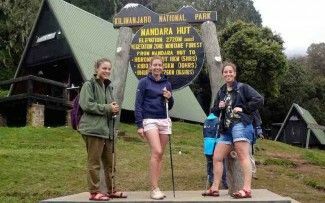 Our reasonably priced packages and strong ethos make us the leading tour planner in the region, which can make your experience of climbing Kilimanjaro cheap and invigorating. So are you ready to get started? As forerunners in operating Kilimanjaro tours, we pride ourselves on offering matchless guidance, support, information, and motivation to climb Kilimanjaro. Cheapest ways to climb the hilly trek are available with us. Get in touch with us today! We create happy experiences. Allow us to add more fun to your Kilimanjaro trip. From the wide open grasslands of the Serengeti to the unique ecosystem of the Ngorongoro Crater, Tanzania has the perfect blend of rich wildlife and breathtaking landscapes that make a Tanzania safari package an adventure you can’t forget. And those iconic places are just for starters – the delights of the Tarangire and the Arusha National Parks also await you, too. 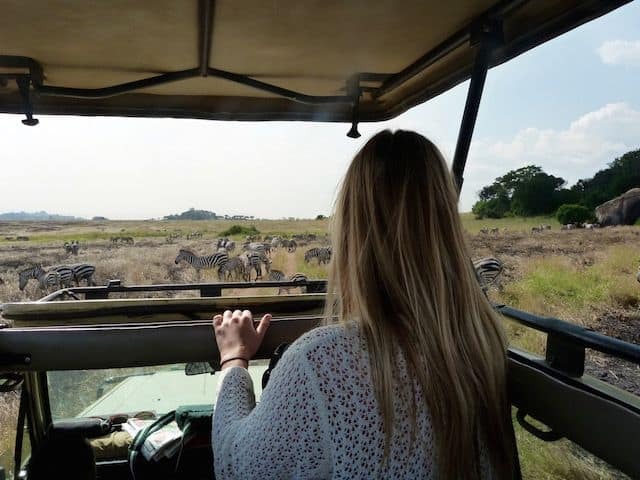 It’s a country packed with diverse and beautiful scenery that’s perfect for a walking, cycling or jeep safari and you’re sure to spot loads of amazing wildlife – lion, zebra, gazelle, wildebeest, giraffe, hippos and lots more. The birdlife is incredible, too - it’s a twitcher’s paradise! You can bet that with all this to offer, we’re not short of Tanzania safari companies over here and it can be tough to choose the right one for you. OK, we’re biased, but we believe that we’re the best Tanzania safari company. But don’t take our word for it- check out anywhere you can read Tanzania safari reviews! Our safari prices are good but we never scrimp on comfort and safety. Our local knowledge is second to none, and we’ll always offer you the flexibility and expertise that’ll make your Tanzania safari a source of exquisite memories that’ll last you a lifetime. If you think that an exciting safari into the heartlands of Tanzania will cost you a fortune, think again. Here at Viva Africa Tours we provide the best budget safari Tanzania has to offer. 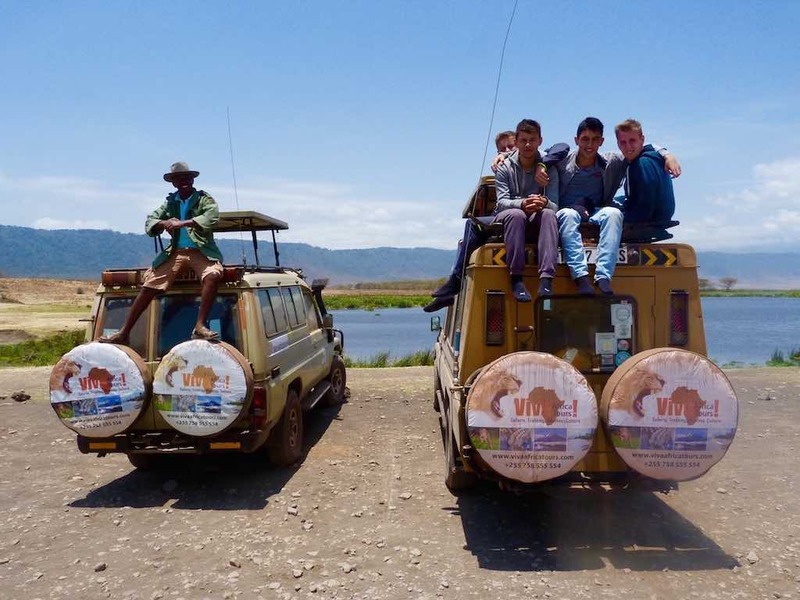 We use our local knowledge, contacts, expertise and cast-iron reliability to create a range of safaris for all budgets, including some fantastic adventures for you if you’re a little financially challenged at the moment – don’t worry, we’ve all been there! We offer Tanzania budget safaris for individuals and you can also join a budget group safari. Our budget safaris mean that you’ll never miss out on any of the beauty that Tanzania has to offer. Choose a budget camping safari and evenings you’ll enjoy relaxing with a cool beer under the indigo of the star-strewn Tanzanian sky. Each one of our Tanzania camping safaris is packed with pleasure and each moment brings a new experience, a new adventure. You’ll be able to savour the grace of the giraffe and the majesty of the elephant; you’ll gaze on buzzards floating up the thermals and shimmers of pink flamingo on soda lakes created by nature at her most artistic. You don’t have to be rich to afford our best budget safari. With us, priceless experiences cost less. Think of the word safari, and you think of the Serengeti. You can’t help it. The Serengeti is world famous, and with good reason. In Tanzania, the Serengeti National Park isn’t just a vast and breathtaking landscape, home to the Great Migration, one of the ten natural wonders of the world; it’s an experience. And a Serengeti safari is the only way to truly immerse yourself in this Eden. You’ve lots of options to explore the Serengeti and but you might be asking how much does a Serengeti safari cost? We’re one of the most experienced Serengeti safari tour operators so, with us, it doesn’t cost the earth. Choose a budget Serengeti safari and you’ll see the same acacia-dotted grasslands, spectacular sunrises and kaleidoscope of wildlife – such as hippo, lion, zebra, wildebeest and warthog (our favourite) – that travellers paying double what you pay see. You might choose a 3-day Serengeti safari to experience the highlights, or a 5 to 10 day safari to really absorb the daily rhythms and pulse of this most magical of places. We hope you include a trip to the unique Ngorongoro Crater, a jewel of Tanzanian wildlife in one quirky setting. We’re one of Tanzania’s leading Serengeti safari tour operators, so, if you’d like your adventure flexible, safe, full of adventure and organised by experts, give us a call! 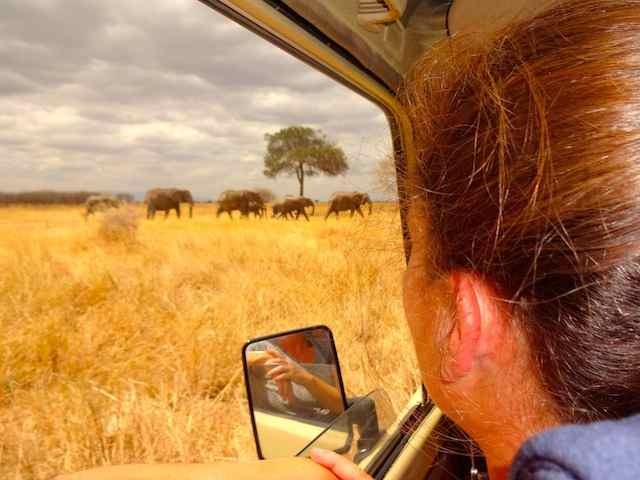 If you’re planning a safari to Kenya, why don’t you add on a tour to Tanzania, too? It’s just down the road! Choose a Kenya and Tanzania adventure as they share some of the most astounding landscapes in the world. 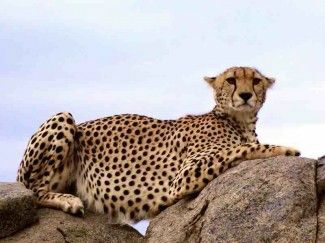 Kenya’s great Maasai Mara blends into Tanzania’s Serengeti National Park and if you book a Kenya Tanzania wildlife safari, you won’t miss any of the wonders. Wildlife roams freely across national boundaries and you can witness parts of the Great Migration; spot lions lazily sleeping in branches; watch African fish eagles dive-bombing the black bass in Kenya’s Lake Naivasha; at Ngorongoro in Tanzania, spend evenings under the stars, listening to the night birds calling in the crater below. It’s a really special tour that is long, unrushed, lazy and a kaleidoscope of colour, sound and adventure. You have time and space to really absorb the culture and pulse of two great countries. And after all the excitement of the safari, why not extend your vacation with a Kenya Tanzania Zanzibar tour to finish by chilling out on the white sand beaches of Zanzibar, Tanzania’s jewel of an island set in the crystal waters of the Indian Ocean? Go on, you know you want to! We’re one of the most established Kenya Tanzania safari tour operators so we’ll take great care of you, every step of the way. Tanzania is a perfect holiday destination for you if you just can’t make up your mind what you want, because Tanzania really has got it all. We’ve so many Tanzania holiday packages to choose from, and we can also mix and match – because while you’re here, we think you should taste everything that Tanzania has to offer. For starters, how about a mountain adventure? Our Kilimanjaro Safari is popular, and it’s not surprising as it’s a challenging (but do-able) climb through rainforest and montaine forest, alpine heights and ice fields to Kibo, the rooftop of Africa and source of breathtaking views. And Kilimanjaro’s brother, Mount Meru is a nearby treasure that has all the delights but none of the crowds. Of course there’s the wildlife to consider – with sixteen national parks including the Serengeti and the Ngorongoro Crater, there are so many opportunities to witness a whole range of wonderful animals and birds. And don’t forget our gorilla trekking holidays! We can zip you out of Tanzania to Rwanda or Uganda next door for a special adventure to witness these gentle creatures going about their daily gorilla lives. Finish up with a relaxing few days on one of Zanzibar’s tropical beaches. 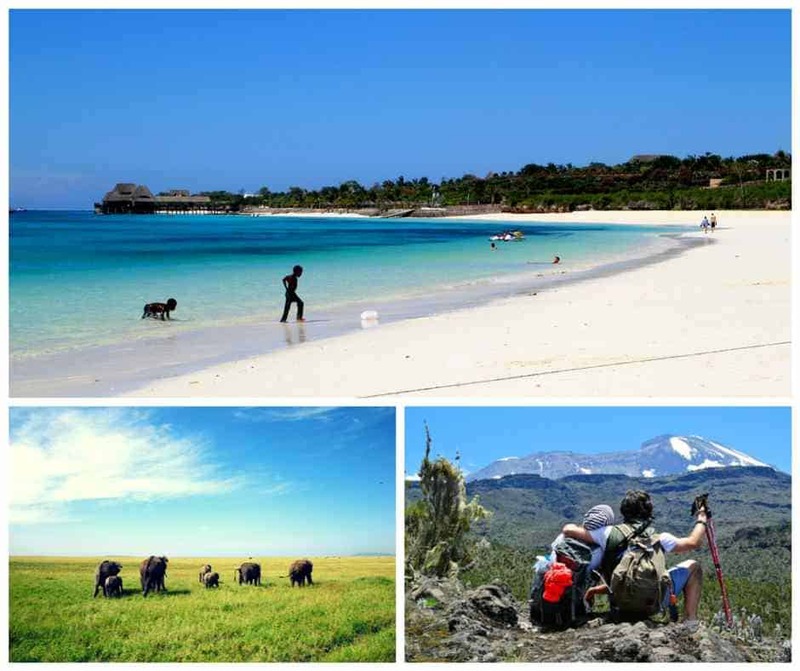 If you’re undecided, our Kilimanjaro Zanzibar package is especially popular – extreme challenge and extreme relaxation in one vacation and you can extend this by enjoying one of our Kilimanjaro Safari Zanzibar tours – mountains, beaches and wildlife in one life-changing experience. If you’re feeling frazzled and you need to get away from it all, then how about kicking back on a white sand beach, palm trees swaying in the warm, a tropical breeze wafting in over crystal clear waters? Sounds good? Then call us to book one of our flexible Zanzibar beach holidays. It’s Tanzania’s Spice Island and the place that’s as close to paradise as you can get. We can arrange everything in your vacation for you whether you want to chill out in one of the beautiful 5-star all-inclusive resorts Zanzibar is famed for, or prefer a more homely lodge on the beach. A Zanzibar vacation is the kind of holiday that offers you activity and adventure or the ultimate in relaxation and the chance to lose and to find yourself. Try a night sail in a dhow, a traditional wooden sailing boat; snorkel offshore in clear waters, surrounded by jewel-bright fish and – if you’re lucky – a pod of friendly dolphins. The dive sites are stupendous, and there are opportunities to kitesurf windsurf and water-ski. 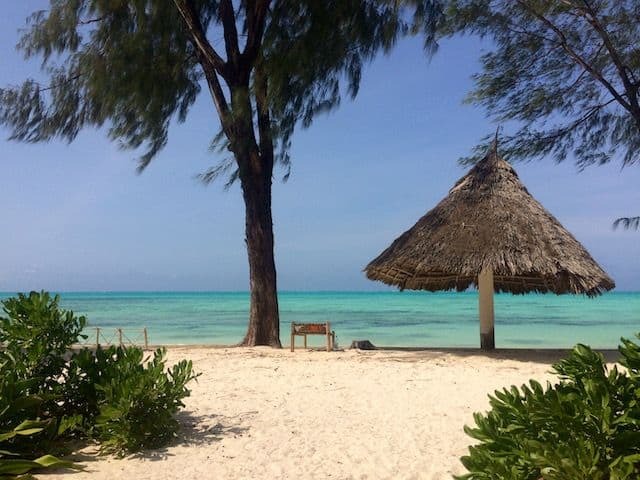 We can arrange for your stay on the best beaches in Zanzibar where you can do as little or as much as you like. Our Zanzibar holiday packages are flexible so you can add-on some wildlife excitement – ask about our Zanzibar safari packages.